Popcorn has become one of our favorite snacks, not only because its cheap and easy, but its a “whole food" that is actually very nutritious. It has very high levels of anti-oxidants (polyphenols) which helps neutralize free radicals (source) AND, its a good way to sneak some healthy fats into our diets (i.e. coconut oil, grass-fed butter). Every weekend, we make a big batch and snack on it all week. (I put it in gallon-sized Ziplocs). Another great reason to read your labels, Friends. 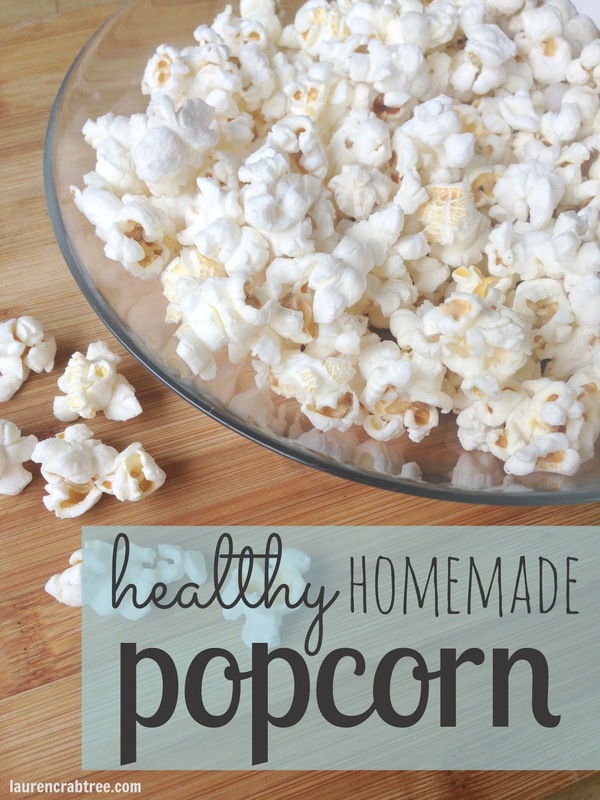 BUT.... when homemade popcorn is THIS easy to make, there is no need for microwave popcorn. 6. Salt to taste and stir to evenly coat. We also bought this popcorn maker last year, and it has been one of Jacob's favorite thing to do with me (since he can't really help me at the stove top). He sits on the counter and “helps” put the kernels in and watches eats as the popcorn fall out. I've never seen anyone get so excited about popcorn in my life. the stove top method is exactly how we do ours, too, and it happens at least once a week! you can also add a couple of cloves of garlic to the coconut oil as it heats (or slices of jalapeno if you like spicy) to change the flavor. my 18 month old loves to help make "pop pop," as he calls it!